Omnivita Limited is a registered company in England, of which Omninatural trades and is part of Omnivita Limited (Omninatural will be referred to as “Omninatural”, “we” or “us” throughout this policy). This policy applies to you, the user of this website and Omninatural the owner and provider of this website. This policy applies to our use of any and all data collected by us in relation to the use of the website and any services or systems therein. The safeguarding and safety of your data is a priority at Omninatural, and we are committed to respecting your privacy rights. We shall pledge to handle your data fairly and legally at all times, Omninatural is also dedicated to being transparent in what data we collect about you and how we use it. 1.1 Account: means collectively the personal information, Payment Information and credentials used by Users to access Material and/or any communications System on the Web Site. 1.2 Content: Means any text, graphics, images, audio, video, software, data compilations and any other form of information capable of being stored in a computer that appears on or forms part of this Web Site. 1.3 Cookie: Means a small text file placed on your computer by Omninatural when you visit certain parts of this Web Site. This allows us to identify recurring visitors and to analyse their browsing habits within the Web Site. Where e-commerce facilities are provided, Cookies may be used to store your shopping details such as shopping basket and cart etc. Further details are contained in Clause 10 and Schedule 1 of this Policy. 1.4 Data: Means collectively all information that you submit to the Web Site. This includes, but is not limited to, Account details and information submitted using any of our Services or Systems. 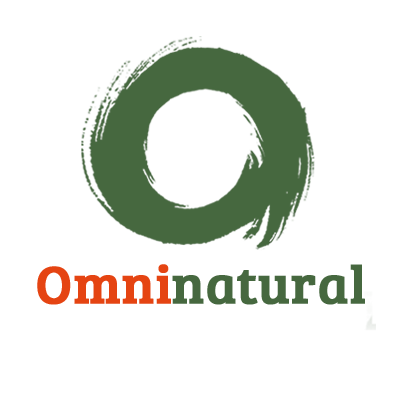 1.5 Omninatural: Means - Omnivita Limited T/A Omninatural, Unit 1b, 6 Greycaine Road, Watford, Hertfordshire WD24 7GP. 1.6 Service: Means collectively any online facilities, tools, services or information that Omninatural makes available through the Web Site either now or in the future. 1.7 System: Means any online communications infrastructure that Omninatural makes available through the Web Site either now or in the future. This includes, but is not limited to, web-based email, message boards, live chat facilities and email links. 1.8 User/Users: Means any third party that accesses the Web Site and is not employed by Omninatural and acting in the course of their employment. 1.9 Website: Means the website that you are currently using (www.omninatural.co.uk) and any sub-domains of this site unless expressly excluded by their own terms and conditions. - Unless we are obliged or permitted by law to do so. Your Data will not be disclosed to third parties. This includes our affiliates and/or other companies within our group. - With your agreement, (opt-in/signup) to contact you electronically (via email/phone/online) about promotional offers and new content that we think will interest you. - Any personal Data you submit will be retained by Omninatural for as long as you use the Services and Systems provided on the Web Site. Data that you may submit through any communications System that we may provide may be retained for a longer period of up to a year. - All personal Data is stored securely in accordance with the principles of the EU General Data Protection Regulation. 4. HOW CAN YOU PROTECT YOUR DATA? 4.1 Omninatural will never ask for you to confirm your bank account or credit card details via email. If you receive an email that claims to be Omninatural as is asking for personal data, please ignore this and do not respond. 4.2 When / if you will be using a device that is on the Omninatural website, we would recommend that you log out and close the browser every time that you access this on a public Wi-Fi. 4.4 Please keep passwords over 8 characters long and include symbols and numbers. Do not use dictionary words, or personal data, or multiple passwords across a number of sites. We would also recommend the frequent change of your password, to ensure security. You can do this by accessing your ‘my account’ and then move on to ‘change password’, from which you will be sent a confirmation email to the registered address to change this. Omninatural may set and access Cookies on your computer. Cookies that may be placed on your computer are detailed in Schedule 1 to this Policy. 5.1 A Cookie is a small file that resides on your computer’s hard drive and often contains an anonymous unique identifier and is accessible only by the web site that placed it there, not any other sites. 5.2 You may delete Cookies, however, you may lose any information that enables you to access the Web Site more quickly. 5.3 You can choose to enable or disable Cookies in your web browser. By default, your browser will accept Cookies, however, this can be altered. For further details please consult the help menu in your browser. Disabling Cookies may prevent you from using the full range of Services available on the Web Site. 6.1 Omninatural may, from time to time, expand or reduce its business and this may involve the sale of certain divisions or the transfer of control of certain divisions to other parties. Data provided by Users will be destroyed, under the terms of this Policy, and in guidelines with the General Data Protection Regulation. 6.2 All customers have a choice to delete any or all data, within guidelines with this policy and the General Data Protection Regulation. This can be done so at any point and upon request, all data shall be destroyed. 7.4 You may request all data that we hold and will be supplied with this, effective immediately. 8.1 You may access your Account at any time to view or amend the Data. You may need to modify or update your Data if your circumstances change. Additional Data as to your marketing preferences may also be stored and you may change this at any time, this can also be deleted/destroyed upon request. 9.1 Data security is of great importance to Omninatural and to protect your Data we have put in place suitable physical, electronic and managerial procedures to safeguard and secure Data collected online. 10.1 Omninatural may, from time to time, employ the services of other parties for dealing with matters that may include, but are not limited to, payment handling, delivery of purchased items, search engine facilities, advertising and marketing. The providers of such services do not have access to personal Data provided by Users of this Web Site. Any questions regarding Data protection please feel free to contact us via email or telephone, we will help you with any questions regarding this issue and will help you exercise your rights under the GDPR legalities.